George Eliot's brilliant fiction debut contains three stories from the lives of clergymen, with the aim of disclosing the value hidden in the commonplace. "The Sad Fortunes of the Rev. Amos Barton" portrays a character who is hard to like and generally despised--until his suffering shocks others into fellowship and sympathy. In "Mr. Gilfil's Love-Story," young Caterina is courted by two opposite men: Wybrow, who is capable of loving only himself, and Mr. Gilfil, whose love is selfless. "Janet's Repentance" recounts a conversion from sinfulness to righteousness, achieved through the selfless endeavors of an evangelical clergyman. 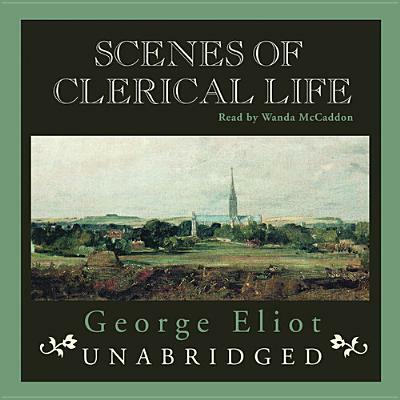 Written more than a decade after her break with the Christian faith, these tales represent Eliot's search for a "religion of humanity" compatible with the best qualities of Christianity.